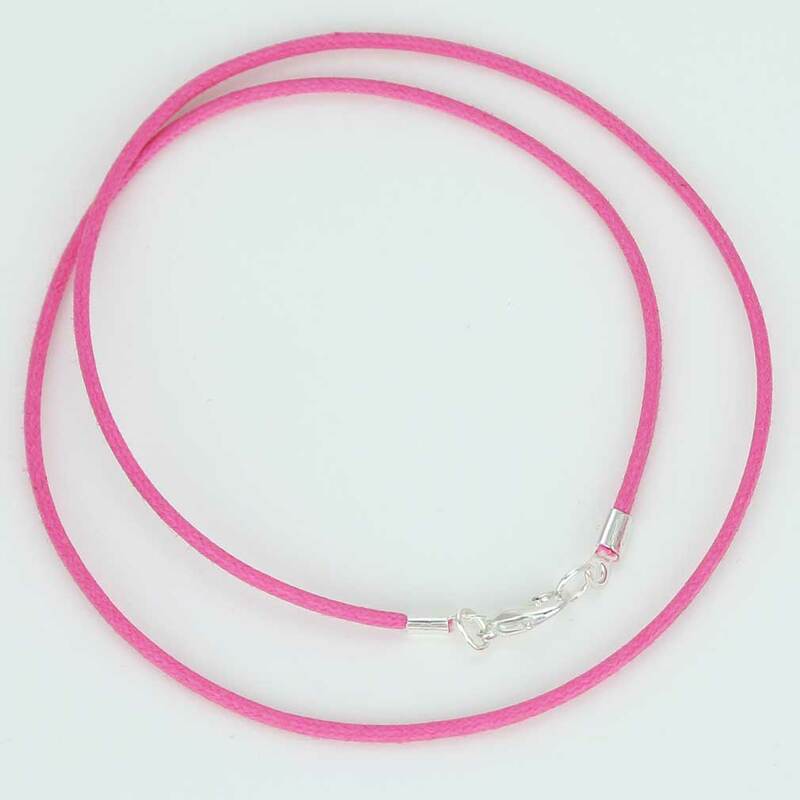 This elegant and comfortable cotton cord is a perfect complement for many of our beautiful Murano Glass pendants in the shapes of red, pink, purple, or amethyst. It features rich rose-pink color, smooth waxed finish, and the surface that looks sophisticated and feels great on the skin. These cords are durable and stylish, perfect for bringing out the beauty of the Venetian Glass pendants without overshadowing them. 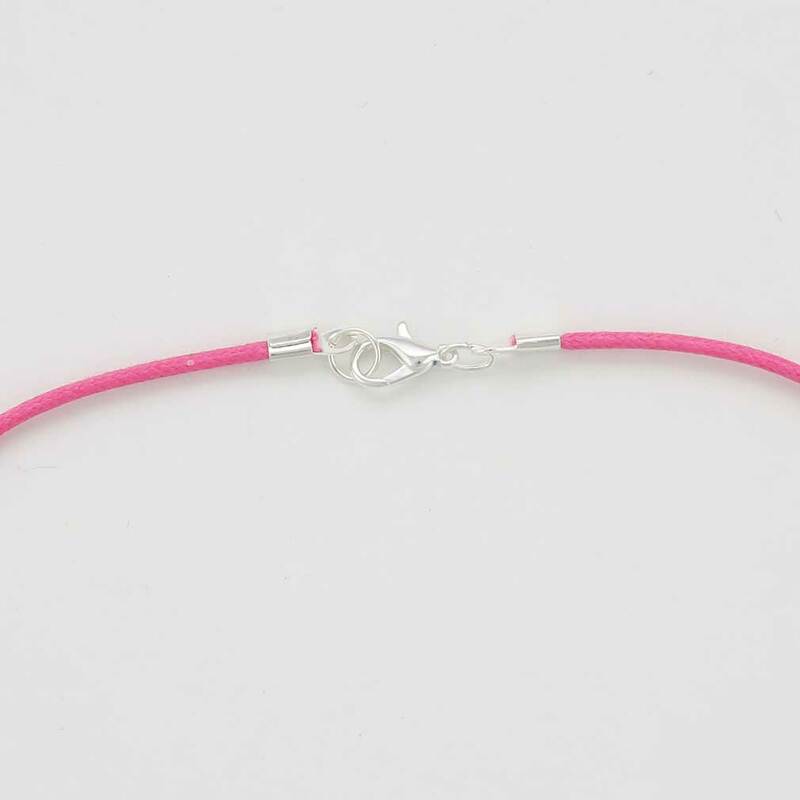 The Pink Cotton Cord is available in 16, 18, or 20 inch lengths. 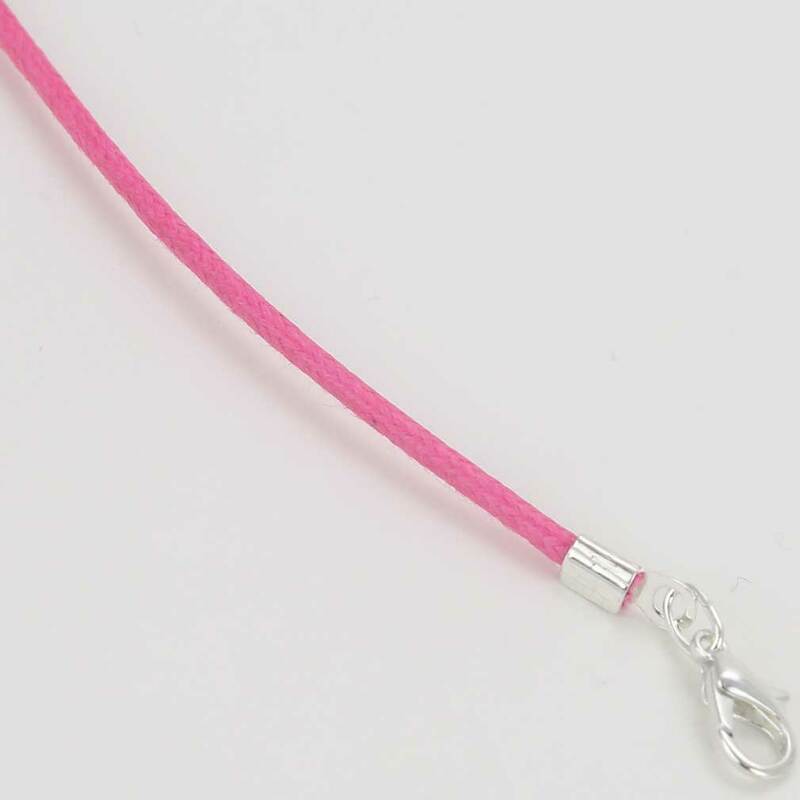 Lock is a secure lobster clasp and is available in silver- or gold-tone finish. Please select your preference from the drop-down boxes. Nice cord for the price. I ordered it in pink and in black. Didn't know who much I'd like it when I ordered, but I thought it matched the pendant well, so I took a chance. Glad I did because they look great together.